It all started when Samsung launched their first Tizen smartphone, Samsung Z1. Since then Facebook has added their official app WhatsApp Messenger on all Samsung Tizen smartphones. The WhatsApp Messenger app on the Tizen has got all the updates on time to time since it originally released. And now with the new Samsung Z4 smartphone it is even better to use. It is the hardwork of developers to create a simple app for new platform which is simple to use and very secure to protect user’s privacy. If we talk this new WhatsApp App on Samsung Z4 then still it is missing some new apps, which are present on other platforms. The main features which are missing from this version are Video calling and story telling. These days those are favorite functions on the app, uses by billions of customers on their phone. But Tizen users has to wait some more weeks or months to use them. Story telling is a new feature on app and became very popular in a less time. The other problem here is WhatsApp emojis, still not there when chatting with someone. Emojis are very cool options to chat with someone and it describes many emotions of the user. We can just wait and see when emojis will come to Tizen. The other all features are presents on this version and all are secure to use. With this app you can make audio calls to any contacts over the Internet without any extra cost. Share beautiful images or amazing videos to your friends and know there reactions on them. Create a WhatsApp group and add your best buddies to share anything with all of them at the same time. The WhatsApp Messenger app is now available to download for Samsung Z4 Smartphone. Go to Tizen Store and install it right now to connect with your friends. U people who design this phone why don’t u jus help a lot of people are complained about wats app not working, they even can’t download any app even wats app video call can’t happen on your device. Don’t u see its a problem?? Tizen store its jus small can’t accommodate the what users desire.plizzzzzz don’t b stingy am about to dump dis new phone.waste of my money..
Really wasted my money on this sh**t phone. I wonder if its realy from samsung. My 8year old son does not want it. It may be network problem, just restart your phone & open it again. You can’t download tpk apps. To download whatsapp & other apps go to Tizen Store & download it. 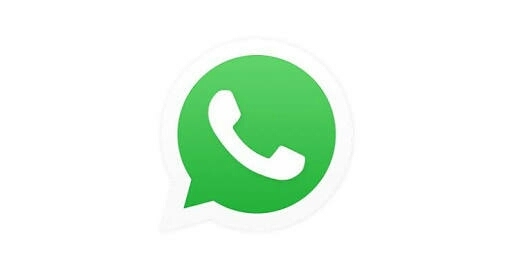 This is usless phone how many times i try to install my whatsApp aii i cnt liv wth whatsApp i regret is waste of money. It is available in Essential App folder on Z4. If not there then go to Tizen Store & download new one. In new update, which may come soon. While toughing an app…daily 1000 it log out.my advice.,never ever buy Samsung Z4…. Im tired iv wasted money i want to download whatsapp..what kind of a phone is this mara? ? My samsung z4 is failing to install whatsapp .What should i do? In this Samsung z4 whatsapp video calling available or not plz tell me? At the moment it is not present. It will come in next update. Uninstall WhatsApp from the device and download it fresh from Tizen Store. I have opened account of samsung to use it to have an access on Tizen store but it don’t want to verify my account.plz help me to verify my account so i can download from Tizen store. You can verify your account with mobile number. I wish i had not buy such a useless fone ,the whatsapp that is there it’s like it was designed by a grade 0 kid it. Download apps from Tizen Store with your Samsung ID. Uninstall it and download again it from the Tizen Store.